BLW: Let’s welcome the successful Indian newbie author Abhipsa Mohanty to Book Lovers World. Abhipsa Mohanty: Thank you very much. Its a pleasure. Abhipsa Mohanty: Well, creative writing has been one of my favourite hobbies. Initially I started off with writing poems, which used to be appreciated by friends. Then encouraged, I started writing fictions. I aim at inspiring people through my works. BLW: Tell us about your short story A Visit To The Dead, what it means to you, and how did you feel when you saw your name in the winners list? Abhipsa Mohanty: This is one of the first stories I wrote. It is special to me because it can be said that this was the story which actually made me a recognized writer at school. 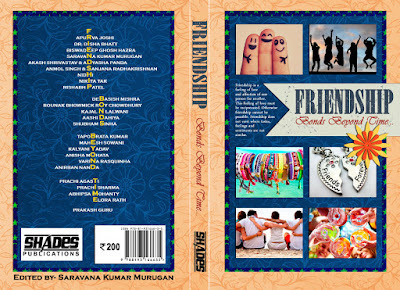 I am a newbie in this field and it is my first published work. So naturally, I was very much elated to see my name in the list of winners. Abhipsa Mohanty: The story is purely based on imagination and doesn’t have any resemblance of any kind with my real life. So are the characters. The narrator of the story is a young girl who learns a valuable lesson in her life about friendship. She learns its importance and preciousness. Abhipsa Mohanty: Nothing actually inspired me. I just got the idea of a plot, started writing it down and finally developed it into a complete story. Abhipsa Mohanty: I don’t think there is any experience at all. One has to just take care that whatever one sends in such competitions should be relevant and admirable. 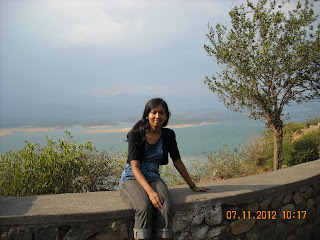 Abhipsa Mohanty: I don’t blog at present. But have a plan of creating my own blog after I finish with my studies. Abhipsa Mohanty: First of all there is not any particular time when I write the most. Whenever I feel like and have good ideas coming to me, I sit down and pen them. But yes, I try finding out inspiring places to write at. Sitting on the terrace and writing is very delightful for me. And there are no props either. But I like to write in my journal the most. Abhipsa Mohanty: I wanted to and still want to be the author of a solo novel, which is appreciated by a lot of people and inspires them. Abhipsa Mohanty: I can’t think of any right now. Abhipsa Mohanty: There are many. But mostly, it has been J.K. Rowling’s Harry Potter series. Abhipsa Mohanty: There are no secret skills :). I am considered good at painting and sketching, that’s all. Abhipsa Mohanty: Well, there are a huge number of books which I love. But now that you ask me to choose the best five, its a difficult job. So I will try to pick out some which I have always enjoyed. They are – The Harry Potter series, Agatha Christie’s novels, The secret seven series (when I was a child), Jane Eyre and Far From the Madding Crowd. Thank you so much for your time, Abhipsa Mohanty. It’s our pleasure to chat with you… And to the readers stay back for more. For the first time in BLW, we’re interviewing all the contributing authors of the book. We hope you will like reading the response. Stay Tuned!